Originally constructed in 1807, Harvard's historic Fay House at the Radcliffe Institute for Advanced Study wrapped up its renovation with a LEED-NC 2009 Gold certification. The US Green Building Council (USGBC) has confirmed that Fay House is the oldest LEED certified building in the United States. The 20,569 square foot renovation included updating the building's mechanical and electrical systems, improving the building life safety and accessibility, as well as major envelope repair and modernization - including repointing and restoring the exterior brick and windows. Inside, space was reconfigured to meet Radcliffe’s evolving programmatic requirements while carefully preserving the building's historically significant interiors. 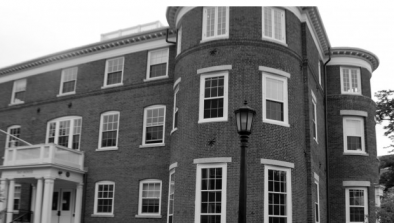 This project exhibits some of the challenges Harvard faces as it balances a commitment to preserving its architectural history and still meeting energy reduction goals when renovating and maintaining existing buildings to serve contemporary needs. 39% of the project's total materials cost was provided by salvaged, refurbished or reused materials, including the building’s historic wood windows and original hardwood floors, which were painstakingly repaired and restored as part of the project. College student Emma Lucken digs deeper into the renovation in this story. 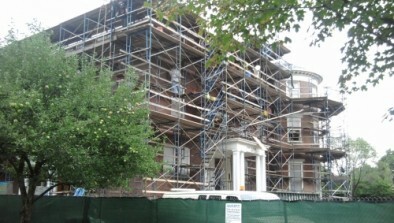 Read Andrea Trimble's USGBC blog post about the Fay House project "Balancing Preservation and Energy Efficiency." @GreenHarvard about 17 hours 17 min — @HarvardMuseums @HarCommonSpaces Go, @HarvardMuseums! Striving for a plastic-free future! !